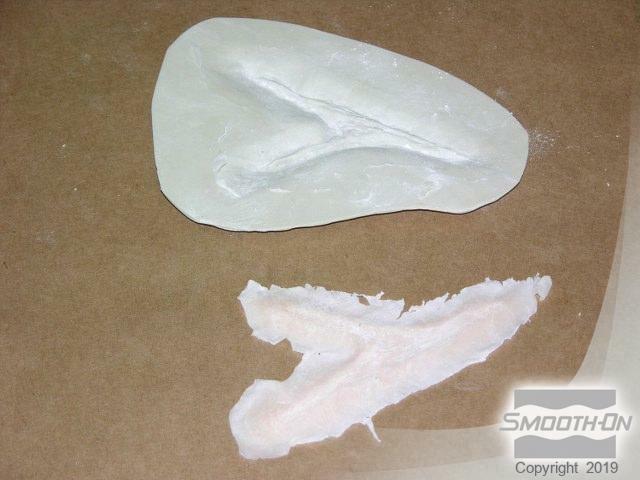 This step-by-step guide will illustrate how to make a flat resin plate mold that you can cast platinum silicone into to make a realistic scar or wound make-up effect. 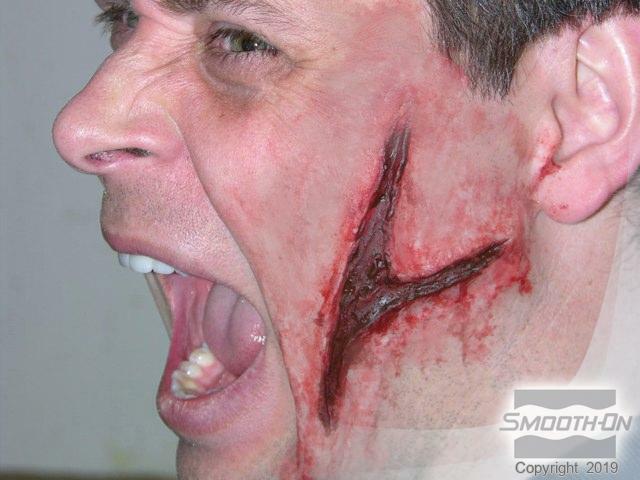 Looking for new Halloween ideas or need to create a theatrical fake scar or wound? 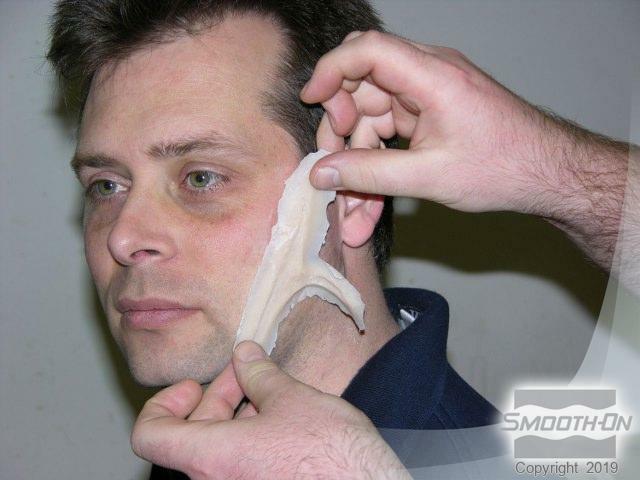 Follow this step-by-step guide to making a facial wound appliance. 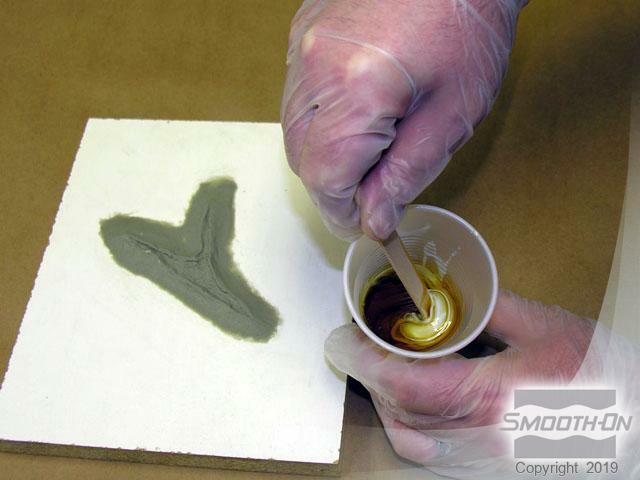 Create a sculpture of desired wound in non-sulphur clay, then apply Ease Release 200 to the entire surface. 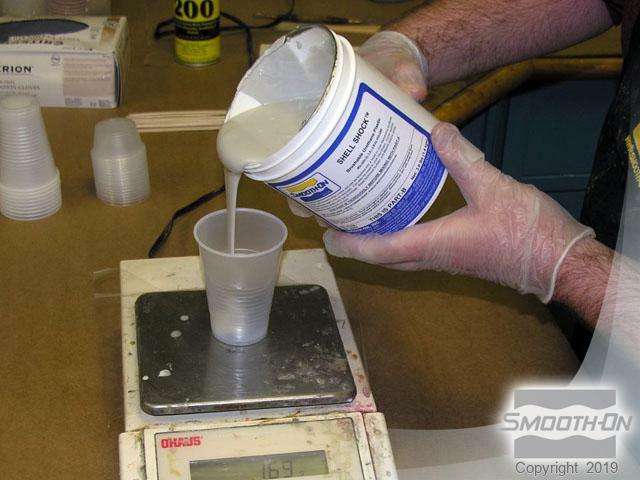 Measure Shell Shock® Parts A and B separately (1A:5B by weight), and then combine and mix thoroughly. 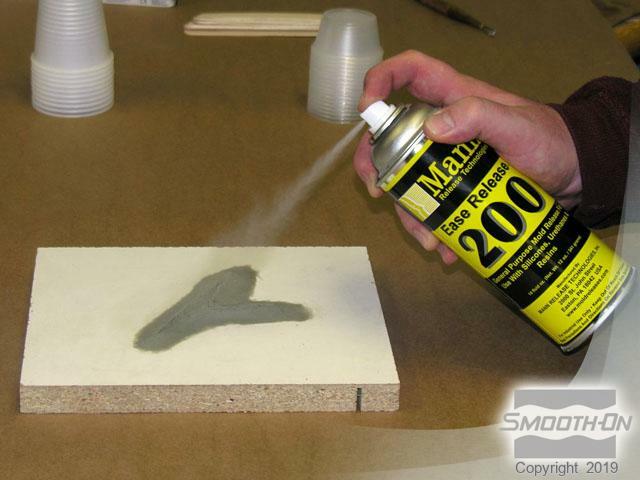 First, apply a thin detail coat of Shell Shock® by stippling it onto the clay sculpture. 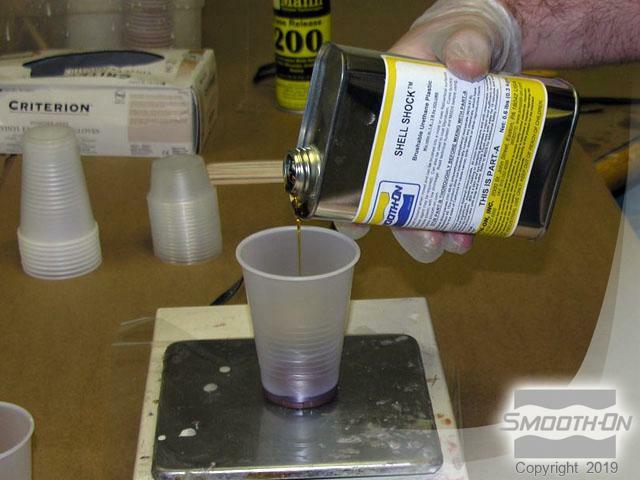 After the first layer, mix, measure, and apply a second thicker batch of Shell Shock®. Repeat once more for a third batch, creating 3/8'' (1cm) mold thickness. 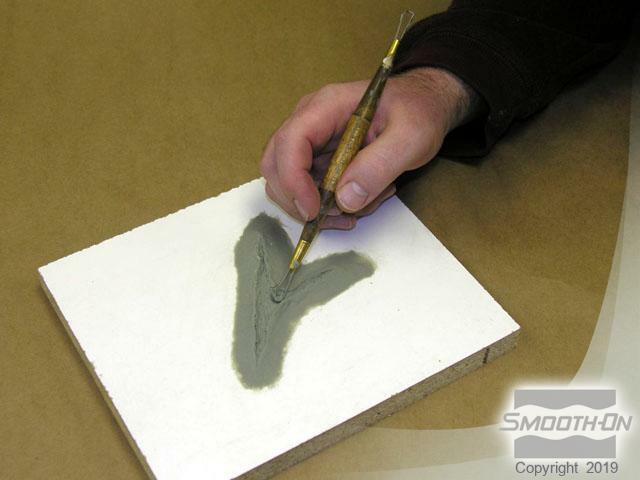 Remove the Shell Shock® mold from the board and clear the excess clay out of the mold using a wooden stick. 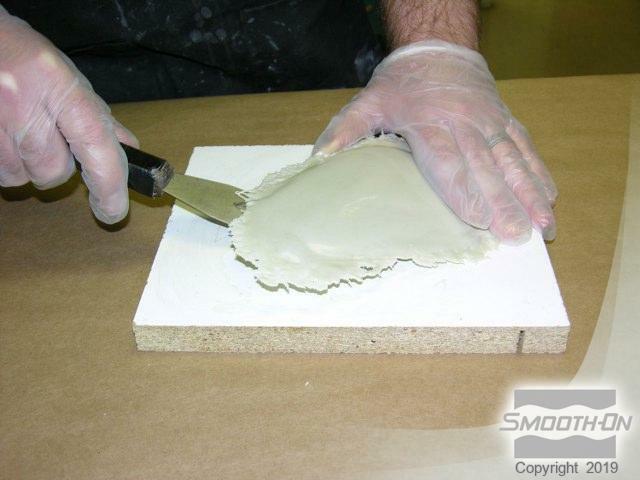 After the edges of the mold are sanded smooth, measure Skin Tite® parts A and B separately (1A:1B by volume). 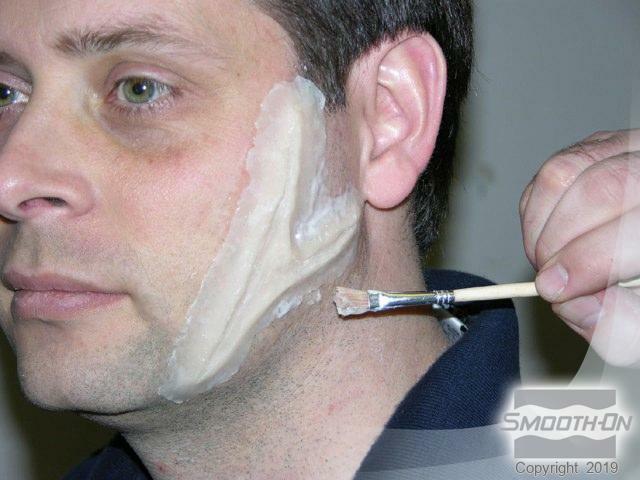 Add Silc-Pig® flesh tone pigment to Skin Tite® part B and to Skin Tite® part A. 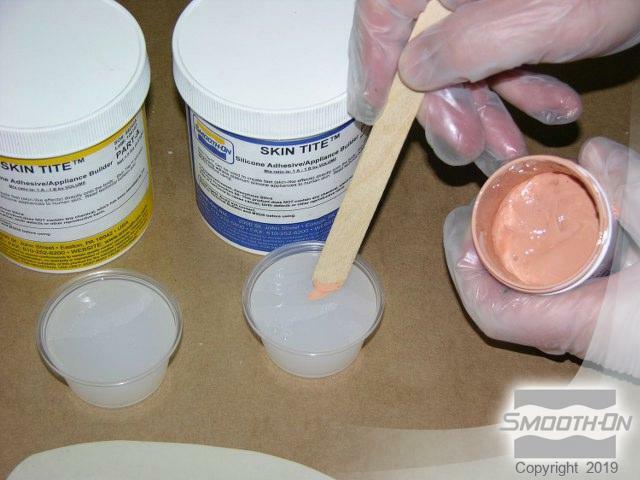 Mix the Skin Tite® silicone thoroughly for a perfect wound make-up effect. Spread the mixed Skin Tite® into the mold using a wodden stick and scrape the excess Skin Tite® away. 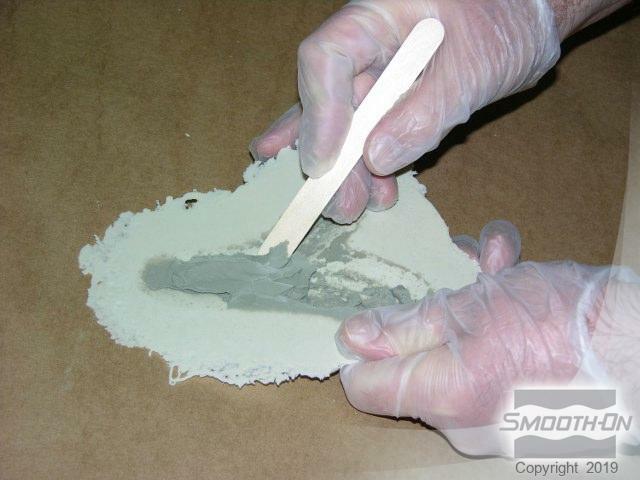 After a 10-minute cure, powder the Skin Tite® piece and carefully remove it from the Shell Shock® mold. 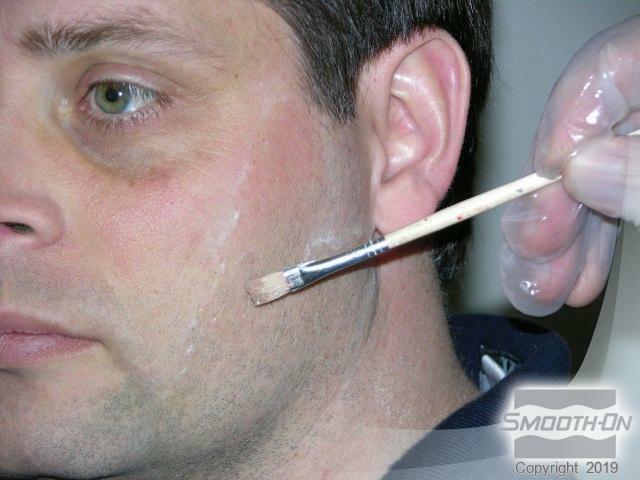 The Skin Tite® wound make up appliance is now ready for application. Mix Skin Tite® and apply it to the model's skin. 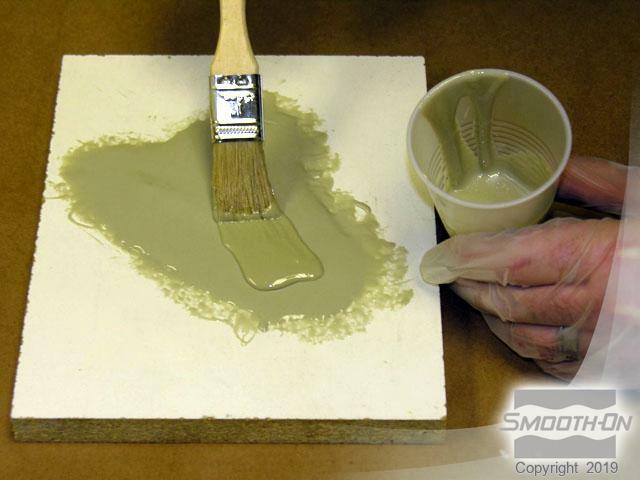 Then, mix more Skin Tite® and use it to blend the edges of the piece. 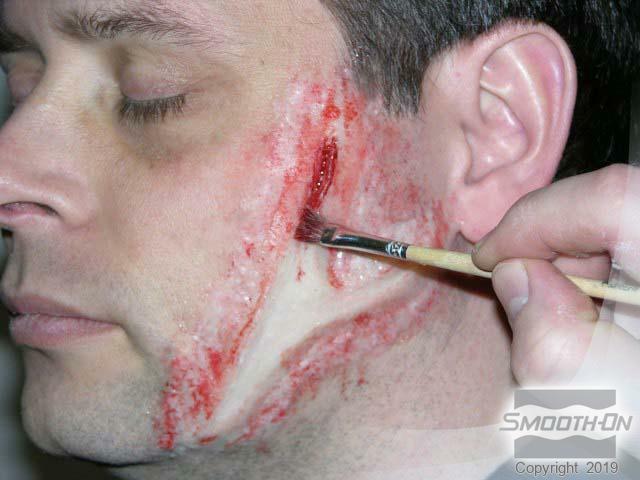 After the Skin Tite® cures, apply theatrical makeup for a fake blood effect. The finished piece bends and flexes with the model's facial movements.